This tutorial on how to remix yarn cakes is part of a collaboration with my friends at Lion Brand Yarn. This post contains affiliate links. Last week I shared the Remix Cardigan pattern in which I deconstructed Lion Brand Mandala yarn to deliberately create a gradient as I crocheted. The whole colorful thing was way out of my neutral-lovin’ comfort zone, but man was it fun! Every bit of it felt like being a kid playing with a box of new oil pastels in art class. So today in this video tutorial, I want to walk you step-by-step through how to create your own gradients with any type of deconstructed yarn cake using some of the tips I figured out with the Remix Cardigan. 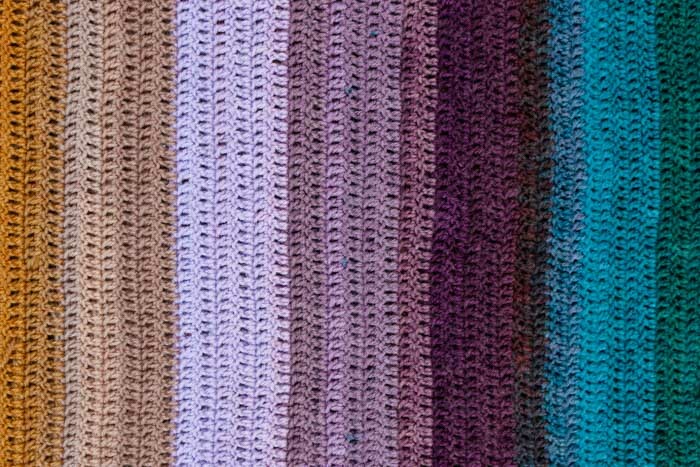 The process can be used in almost any crochet or knit pattern and leaves you with surprisingly few ends to weave in. 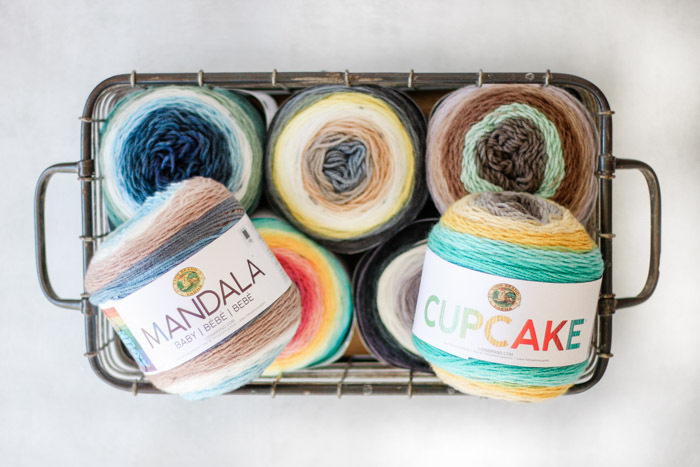 In the video below, we discuss exactly how to choose which yarn cakes to combine, how to deconstruct your Mandala (or other) yarn cake and how to use a simple, inexpensive kitchen scale to plan your gradients and color transitions. 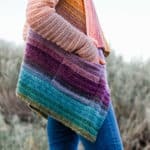 If you’re more of a reader than a watcher, scroll down a bit further for additional written notes on deconstructing yarn cakes to form gradients in your crochet or knit patterns. 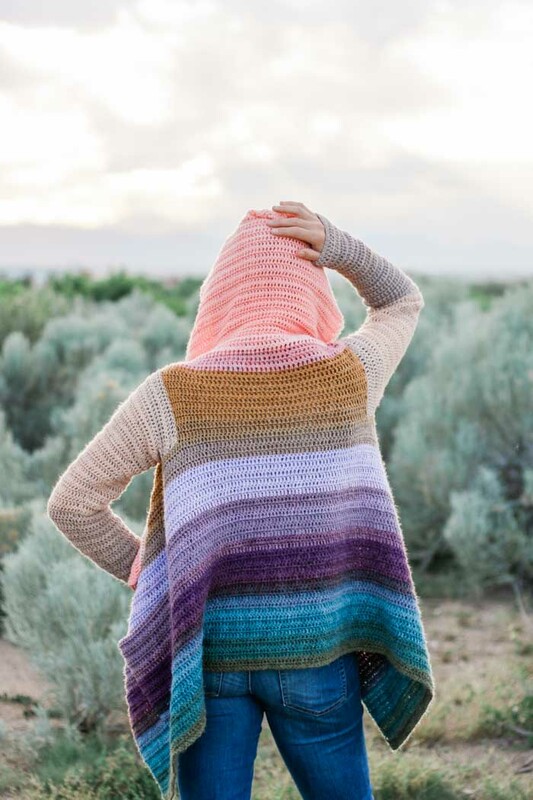 And if you’re altogether more of a write-it-down kind of learner, you can find the a written tutorial with worksheet for planning your Remix Cardigan in the ad-free, printable PDF. 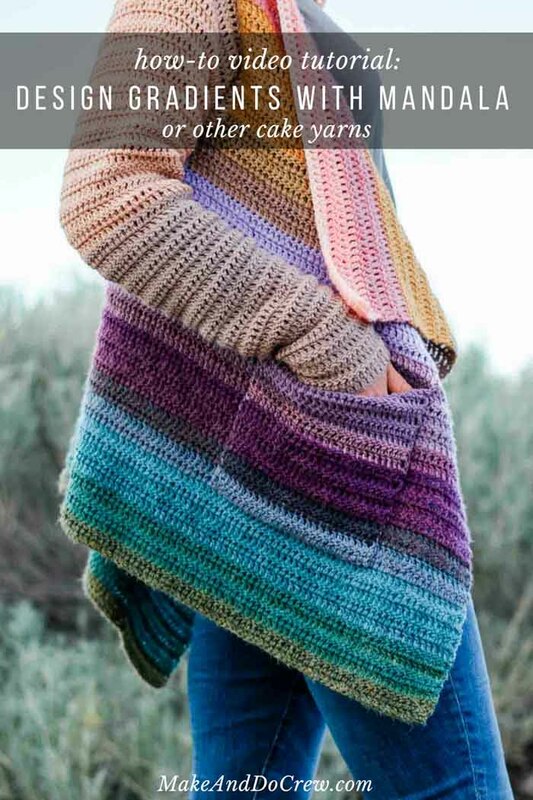 It even includes exactly how many grams of yarn you’ll need for each section of the pattern, so you can allocate your colors accordingly. Purchase the PDF for $2.99 here. • Let this part be fun! You’re an artist painting with yarn! Try to find joy in the process because whatever you end up will be unique and beautiful in a one-of-a-kind way. 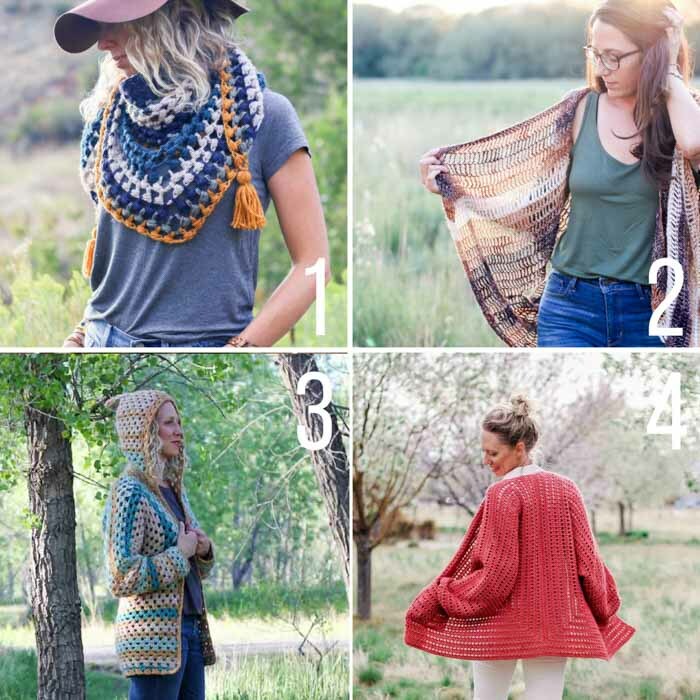 • You’ll need more yarn than a pattern calls for to crochet or knit a pattern this way because you won’t likely use every inch of a skein. Luckily yarns like Lion Brand Mandala have a ton of yardage for the price, so “wasting” a bit is not going to cost a lot of money. Scroll to the bottom of the post for ideas on how to use your leftover cake yarn! What Type of Patterns Can I use? Here are a few free crochet patterns from Make & Do Crew that are perfect candidates for making with deconstructed yarn cakes. 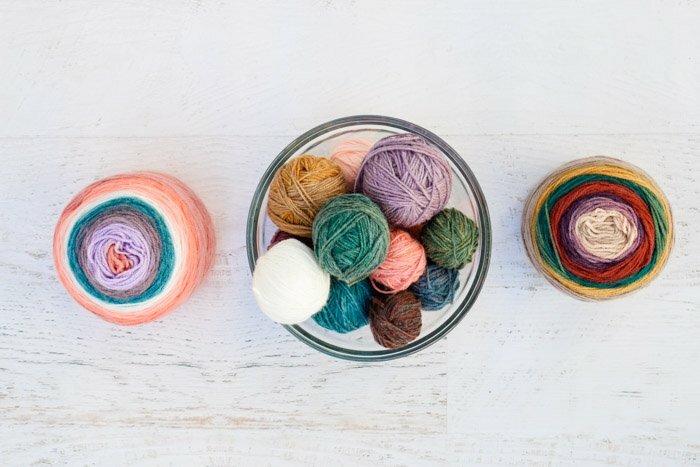 While you can really use this technique with any cake yarn, I’m really excited that Lion Brand has recently released some new yarns that are identical to Mandala in weight and fiber content, so you can combine any of the colors of any of these yarns into one gradient. There are SO many possibilities! This will vary a lot based on your artistic vision, so please don’t feel limited by what I tried with the Remix Cardigan. My approach with that sweater though was to use two different colorways that has similar types of tones, albeit in a wide range of colors. You can see both Pegasus Mandala and Warlock Mandala have lots of reds/oranges, blues/greens and purples that feel like they’re sort of “related” to each other. This allowed my gradient to have a lot of nuanced color transitions within about five main colors. 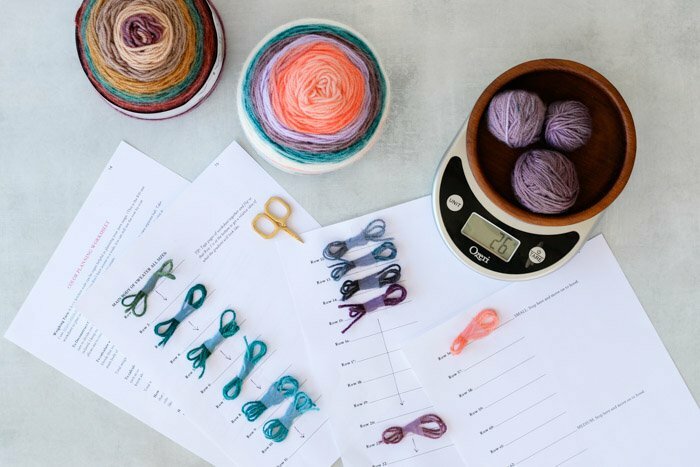 The Secret Weapon in Planning a Yarn Gradient: A basic kitchen scale can be super helpful in planning your yarn usage. (This is the $10 one I use.) If you don’t have access to a scale, you can still use these technique to plan out the relative gradient you plan to create. The scale just allows you to be more precise. To Deconstruct Cakes: Deconstruct yarn cakes by winding off each color into its own separate ball. Take care to divide out the blended or transitional colors into their own balls so that each individual color is isolated. (See photo below.) I keep each individual color in its own small ball, so I have a ball of each color from each skein. This allows me to create small gradients within one color if the different cakes happen to vary in dye lot. To calculate weight of one row pattern: Work first 3 row. 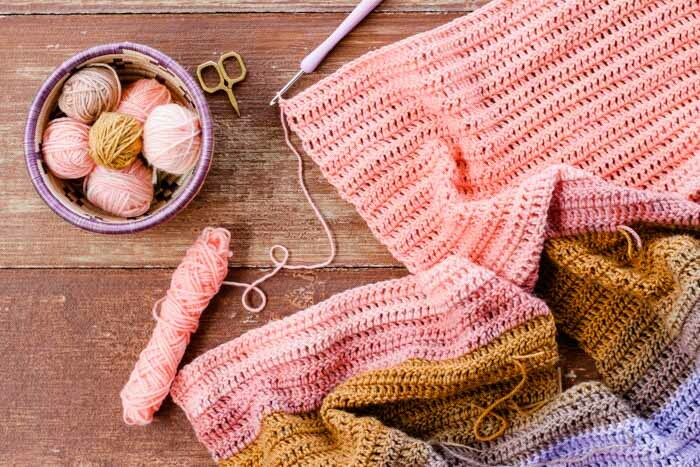 (Choose color you’d like to have at the beginning of the pattern so that you can just carry on with the pattern after completing this section.) Weigh those 3 total rows in grams. Divide that number by 3. This equals the approximate amount of yarn in grams needed for each row. How to plan your gradient: Once all colors are separated, play around with the balls until you have an order that pleases you. Consider the relative lightness or darkness of a color next to another color as well as which colors naturally blend into each other well (like blue to purple). At this point, it’s also wise to consider which colors you’d like to set aside for parts of the pattern that are less of the main focus like sleeves, pockets, straps, etc. How to use this information: Use the knowledge of the approximate weight of one row to assess how many rows you can create in each color. To calculate this: weigh all the yarn of one color in grams. Divide that number by the number of grams needed for one row (calculated above). You will have more yarn than you need, so it’s okay to not include every color or use all the yarn in one color. 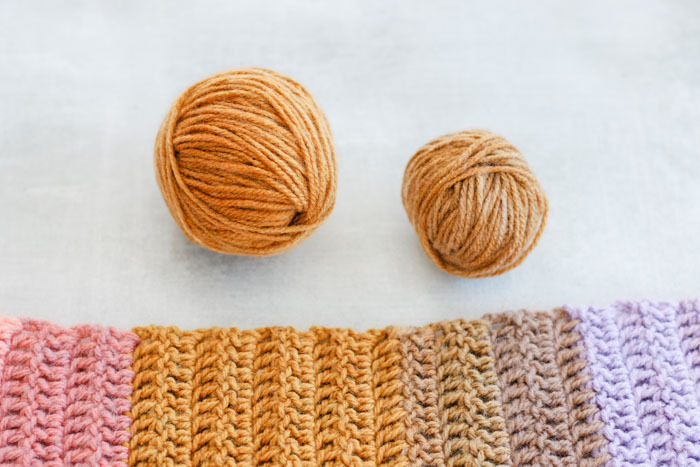 When planning your gradient, look at individual balls of each color to determine if the dye lot varies a bit and take that variance into account in your gradient. 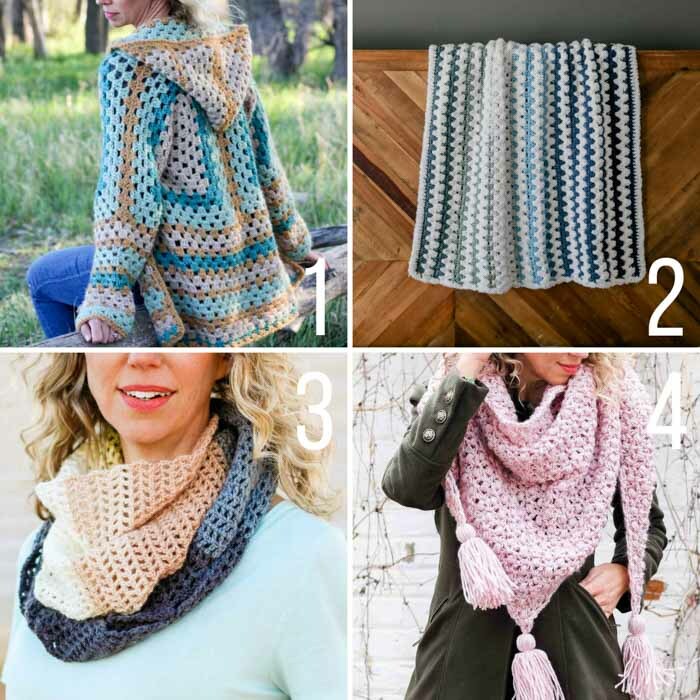 Below I’ve included some of my favorite free crochet patterns that would be perfect to make with your leftover cake yarn. I'd love to send you my weekly free crochet patterns, tutorials and tips that will make you feel like a goddess of DIY! You in? Welcome to the Crew! Please check your email. Your inbox just got a whole lot more crafty. Thank you for sharing my patterns and tutorials. 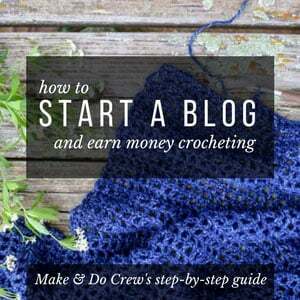 When you do, it helps support the blog and my ability to create more free patterns. Which, by the way, I seriously love to do. So really, I mean it, thank you. You may make items to sell with this pattern/tutorial. In exchange, I ask that you link back to this post page. Do not use my photos as your own sales photos. Do not distribute my patterns/templates as your own. Permission is NOT granted for mass production or factory manufacturing of any kind. I don’t see the link for the video…is it out yet? Just wondering, thanks! I can’t find the video link either. I have gone over the page a pile of times. I’m sorry you’re having trouble! It’s directly blow the pink title that says “How to Design Gradients with Deconstructed Mandala Yarn Cakes Video Tutorial.” It’s about half way down the page. If you still don’t see a video player right below that title, please let me know what internet browser you’re using and I’ll try to troubleshoot. I’m sorry, but I still can’t find the link. Is the video on YouTube? Is so, maybe I could find it on there! Thanks for your help! Please tell how many cakes have u used for making ur cardigan? I used 4 skeins, however, it is important to have extra yarn if you would like to achieve the same gradient as the example. Ok. I’ll try again. Please help me get to the deconstructing video. If it helps to know, I’m using Safari. Everything I click on takes me to this page but then nothing happens when I click on the title of the video. This is about the third or fourth time I’ve posted here in the comments and none of them are showing up. I’m really confused. I also posted today on your FB page asking for help with that. I’m sorry you’re having trouble. When it’s the first time you’ve had a comment approved, it needs to get manually approved by me to show up on the blog. You can find the video here. If you’re ever having trouble finding something, you can also use the search bar at the top of the site. Hope that helps! This is a bit frustrating. I too, like others, am having difficulty finding the video. I’ve looked in the places you’ve recommended to others with no luck. 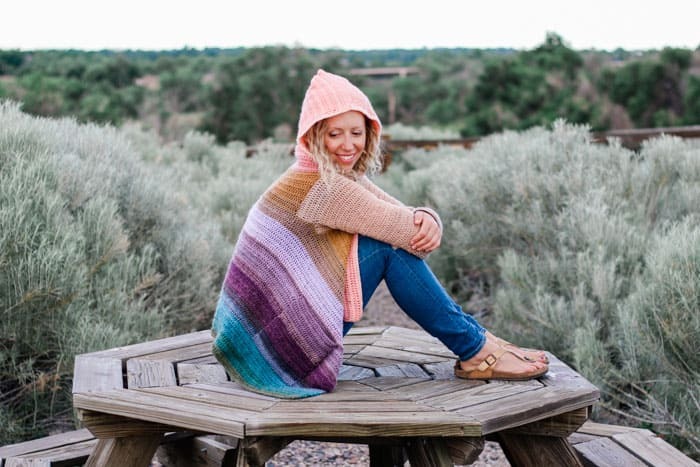 On my web page, when I scroll down about half (as recommended by you) I find the pink title that says “How to Design Gradients with Deconstructed Mandala Yarn Cakes Video Tutorial.” but there is no video, only pictures. The link you provided another commenter only takes me back to this page and no video. Could you please provide a direct link to the video, or check the web page to assure the video is there. Thank you so much for your help! Your designs are a real inspiration. Hi! I'm Jess. I share FREE weekly crochet and knit patterns for creative homes and families.